This is a topic I have covered in past posts, but an email I received today convinced me that this is a subject that can’t be discussed enough. In this email, a young woman that I knew in Austin, told me that her much loved sun conure, Mango, had died unexpectedly. She included her phone number, so I called her to offer my condolences. In the course of the conversation, I found that Mango had indeed been showing signs of illness, but her owner didn’t know how to recognize them. Let me begin with explaining flock mentality. In the wild, when a single parrot’s health declines, it becomes a danger to the flock. Predators will target a sick bird as an easy kill, thereby endangering the entire flock. A bird showing signs of illness is typically driven from the flock by its peers for this reason. A parrot knows that its safety depends on the protection of a flock as a unit and will hide its illness for as long as it can. 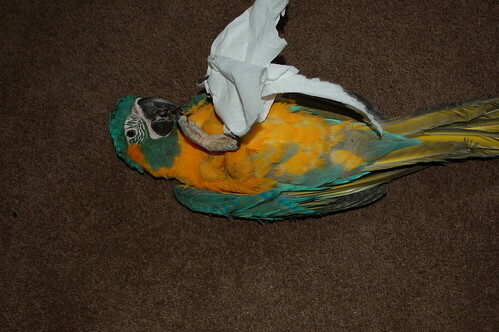 This behavior is hard-wired even into our companion parrots. Once a parrot becomes visibly ill, it has been sick for a long time. As parrot owners, we have to be very aware of the clues our birds give us. This is why I am always going on about monitoring your birds poops and frequently checking their weight. These are two easy methods of determining the status of your bird’s health. Poops are abnormal. Here is a link to a post that will tell what an abnormal poop is. Weight loss. A parrot, which should always be weighed in grams, can have huge fluctuations in its weight during the course of a single day depending on when it has eaten, how much, and if it has recently pooped. If your parrot loses 10% of its body weight during the course of a month, it needs to see a vet. In other words, if you have a 300 gram bird, the loss of 30 grams is 10%. Because birds are so light, it is really difficult to judge a significant weight loss without the use of a gram scale, which can be purchased at Office Depot or most places where office supplies can be found. 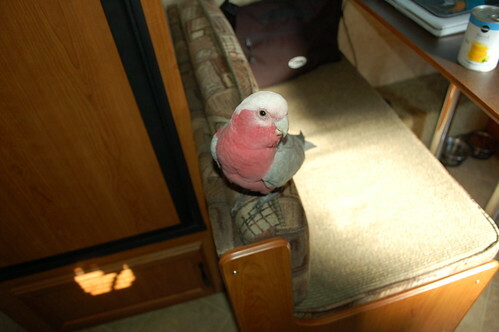 Many are sold in bird stores or on-line with perches attached. Changes in appearance. If you notice anything unusual about your bird: feather discoloration or barring, a fluffed up appearance, poop in the feathers by the vent area, or anything else that is untypical, it is a cause for concern. Birds are fastidiously clean and it is a sign of illness if they are not keeping themselves well preened. Loss of appetite. If your bird is normally a hearty eater and is now shunning its food, take him to the vet. Birds burn a lot of energy and cannot go for long periods of time without eating to keep up their strength. Drooping wings/perched at the bottom of the cage. These are common signs of an unwell bird. Discharge. An excretion from the nasal areas, eyes or anywhere else is the sign infection or other problems and needs to be immediately treated. Lack of vitality or inactivity. If your bird is not talking, singing or whistling or is not as active as she usually is, watch her closely. These are often the first telling signs of an existing illness. If her behavior doesn’t return to normal quickly, see your vet. Eyes are dull or cloudy. A parrot’s eyes should be clear and sparkle with life. They should show awareness of everything that is going on around it. Lifeless, dull eyes are certainly a signal that something is wrong. These are all easy to spot hints to your bird’s health. Given the fact that once you see illness it is already somewhat advanced, your hesitation in getting the bird to the vet will only make matters worse. If your parrot was going to get better on its own, it would have already done so, before you noticed he was ill.
Veterinarians are expensive, believe me, I know that. But the expense that you incur now, at an earlier stage in your bird’s illness, will be far less than if you wait until the situation is dire. 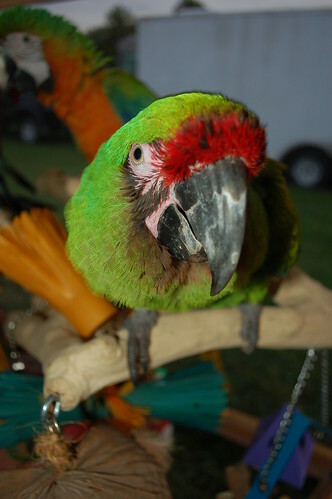 The loss of your beloved parrot, your good friend and an important member of the family is a cost beyond measure.